” Wildlife Smuggling and the Illegal Exotic Pet Trade Adverts contribute towards site running costs, but currently may not fit with the site ethos. We will continue to work on a solution. Why Do People Want Exotic Animals? 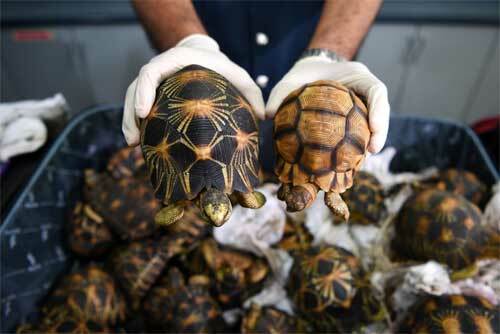 What Happens During Wildlife Smuggling? Wildlife smuggling of exotic pets is the fourth biggest illegal trade in the world, behind the trafficking of drugs, arms, and people. Wildlife smuggling or trafficking involves the illegal gathering, transportation, and distribution of animals and their derivatives, such as fur, horns and scales. Wildlife smuggling is estimated between $10 and $20 billion dollars a year worldwide, and about £2.5 billion pounds a year in the UK alone; around 47 million ‘pets’ (mostly fish)! However the illegal nature of such activities make determining the amount of money involved incredibly difficult. Products demanded by the trade include exotic pets, food such as Bush Meat, Chinese medicine, clothing, and jewellery made from animals’ tusks, fins, skins, shells, horns, and internal organs. Smuggled wildlife is an increasing global demand and it is estimated that the, US, China and the European Union are the places with the highest demand. It is a worldwide epidemic that needs to be stopped. 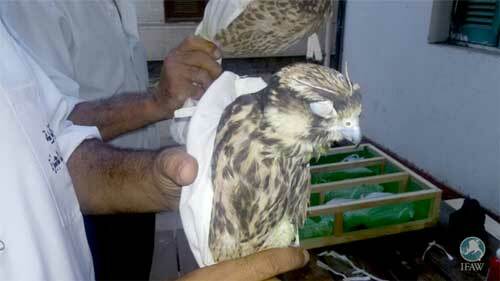 Taking exotic wildlife out of their natural habitat leads to lots if pain and death for the poor animals. There are various reason for people wanting exotic animals. Some want unusual and rare pets such as tigers, bears, monkeys and reptiles. They perceive it as a symbol of wealth and status i.e. if it is expensive, and rare, and I own it, then it makes me look good in the eyes of others. Some people are simply interested in rare animal biology. Other people are influenced by TV shows and movies. 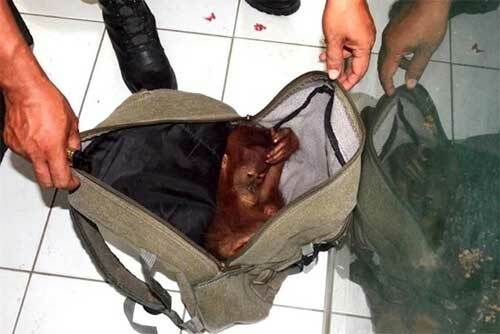 Many animals are captured from their native environments, smuggled across national borders. Source. One of the main reasons is simply money and greed, fuelled by corruption and crime. 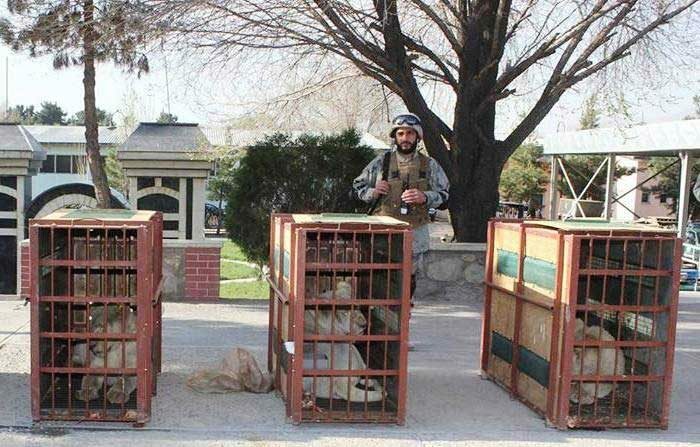 Members of terrorist and criminal organisations illicitly traffic in hundreds of millions of animals to fund weapons, finance civil conflicts, and launder money from illicit sources. It is often seen as victimless crime, and it struggles to capture the attention it deserves. Video: Josh Duhamel’s 30 second Endangered Species Situation video outlines the obvious and demonstrates it is in fact anything but a victimless crime. A lot of exotic wildlife comes from Countries such as Australia, Africa, and the jungles of Brazil. 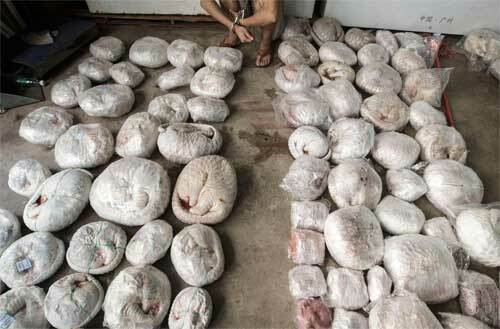 The laws and penalties are lax in some areas, where they are strict, they do not dissuade criminals and dealers in light of the serious money they can make from smuggling. Trappers capture the animals in their natural habitat and take them away. 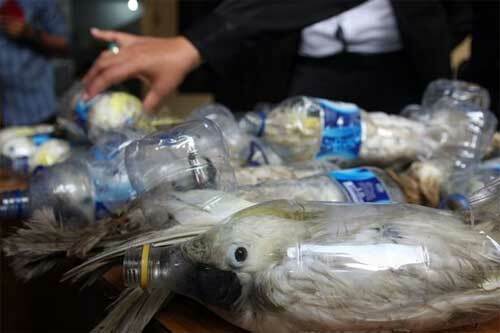 Because of the illegal and criminal nature of the Industry, these animals often change hands several times e.g. transporters and exporters. The conditions in which these frightened animals are transported can be horrendous. Other birds such as Parrots also have their beaks and feet taped, and be stuffed into plastic tubes so they can easily be hidden in luggage. Baby turtles are taped in to their shells and shoved into tube socks, and infant pythons have been shipped in CD cases. 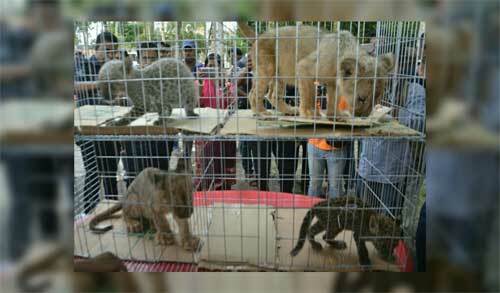 Exotic animals can suffer further at the hands of dealers who sell to unscrupulous pet stores and zoos. PETA’s undercover investigation of U.S. Global Exotics resulted in a raid of the dealer’s Arlington, Texas, warehouse and the seizure of more than 27,000 animals who had been subjected to crowded living conditions, poor ventilation, and a lack of food, water, and basic care. More than 400 iguanas (half of whom died) had been left in shipping crates for about two weeks without food or water because of a cancelled order. Hundreds of dead animals were discovered during the raid, and more than 6,000 died afterwards because they were too ill to be saved. Source. It is no surprise these animals have low survival rates and suffer from fear, anxiety, behavioural issues, hunger, thirst, discomfort, pain, injury, and disease. Transportation lone can take several weeks! 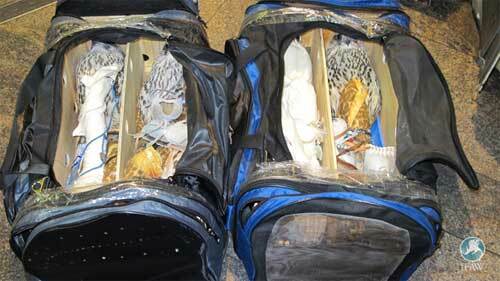 Over 300, 000 exotic/smuggled animals were confiscated on entry to the USA over the past decade. However, this does not mean that the animals have been rescued. 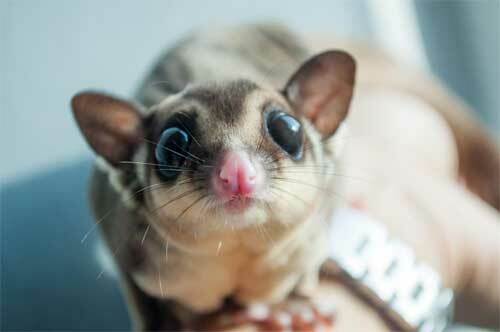 One case involving hundreds of sugar gliders (small marsupials endemic to Australia), were intercepted at the Schiphol airport, in Amsterdam. Not knowing what to do with the animals, Dutch authorities disposed of them, still alive, in an industrial shredder. Another case involved a baby chimpanzee and a gorilla intercepted by Egyptian authorities in Cairo. Worried that the apes might carry Ebola, the authorities drowned them in an acid bath. It is quite clear many animals suffer for the pleasure of others, and the consequences are devastating. 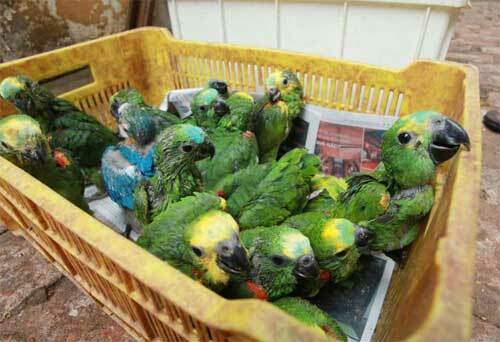 The consequences of illegal wildlife smuggling is first and foremost with the poor animals. These animals are often in pain and end up dying from malnutrition, loneliness, and the overwhelming stress of confinement to an unnatural and uncomfortable environment. For every animal who makes it to the store or the auction, countless others die along the way. The head of South Africa’s Western Cape Environmental Crime Investigation unit estimates that 90 percent of exported reptiles die within a year! Ecosystems are put at risk from this barbaric industry with exotic animals being released in t the local habitat, or escaping in to the wild. Another consequence is the impact of exotic animal diseases on the human race. The monkeypox outbreak that affected dozens of people in the Midwest USA in 2003 was traced to a Gambian rat from Africa. Prairie dogs also have been known to carry the plague. The herpes B virus can be transferred from macaques to humans. The spread of animal-borne disease affects humans and threatens indigenous wildlife and ecosystems. According to the United States Government Accountability Office, nearly 75% of emerging diseases that reach humans come from animals. For example, the SARS (Severe Acute Respiratory Syndrome) is suspected to have originated in the China due to contact between a civets (wildcats common in Chinese trade) and humans. The Avian Flu (H5N1) virus can infect humans through contact with infected crested hawks, other wild birds and poultry. The National Geographic reports that for every tiger or lion trapped in a zoo, “there may be as many as 10 privately owned. There have been dozens of captive big-cat attacks in recent years, including incidents in which a tiger mauled his guardian’s 3-year-old grandson, a lion killed several dogs and trapped a boy in his room, and a Bengal tiger tore off the arm of a 4-year-old boy. Keeping wild animals is not a good idea! The WWF is committed to stamping out the illegal wildlife trade. It threatens the future of some of the world’s rarest species. Through their global network and the work of coalition group TRAFFIC, the wildlife trade monitoring network, WWF helps combat the illegal trade and encourages sustainable legal trade. 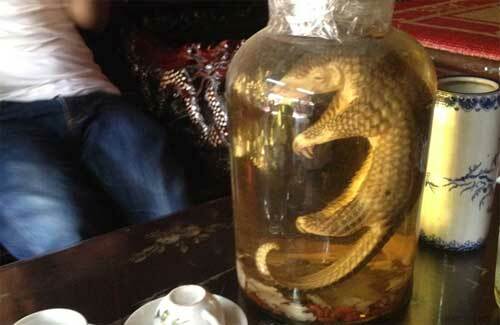 The Stop Wildlife Trafficking Movement (Wild Aid) is doing all it can to help. 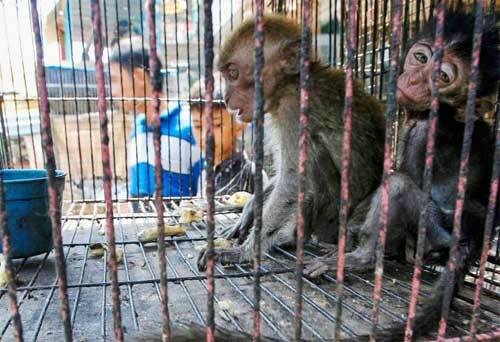 Never buy exotic animals from dealers or pet shops. 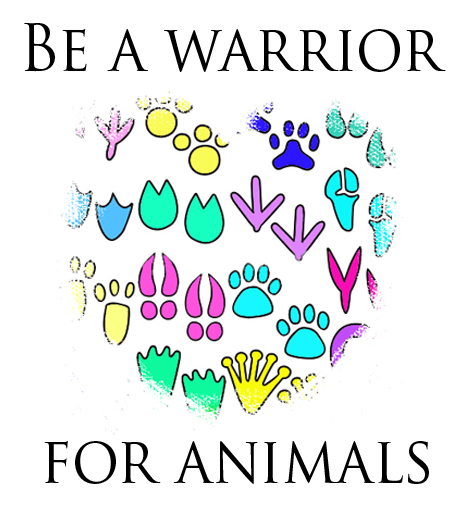 Animal shelters and rescue groups are filled with dogs and cats who need good homes. Support legislation that would make owning exotic animals illegal in your community and prohibit the interstate sale of exotic animals. There are thousands of smuggling stories online, some of which have been detailed in this article. 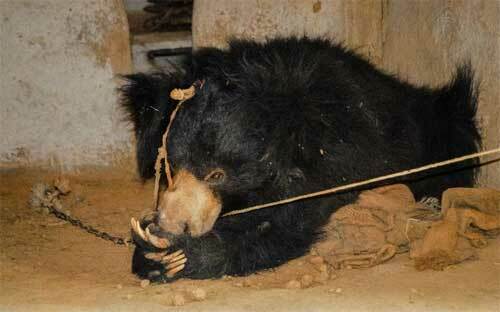 Here is a few more as a reminder f what these poor animals go through. Moscow: Customs officials seized eight rare and endangered gyrfalcons from a passenger who attempted to smuggle them out of Russia in duffel bags. The birds were sent to IFAW’s raptor rehabilitation center in Moscow to be cared for until they are strong enough to be returned to the wild.